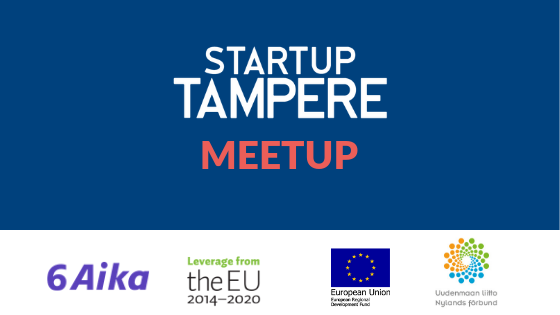 Welcome to the Startup Tampere Meetup kick off – a new, monthly meetup to connect startups and investors and improve your ability to fundraise. You’ll learn from experienced entrepreneurs and investors who will share their stories and wisdom gained from their own unique journeys. It’s a place to celebrate your wins, commiserate over struggles over drinks, snacks and peer support. The Startup Meetup event is organized by Business Tampere and is part of the 6Aika -project: Ecosystems of Growth: Enabling the Growth of Companies through Collaboration.